During the last few years when Conway was in Commission there used to be an annual race meeting of Old Conways and the Cadets at Plas Newydd. These races were organised by John Southwood who has done so much for Conways. Once the Pay Off took place some of us wished to perpetuate Conway's traditions by wearing her Ensign. 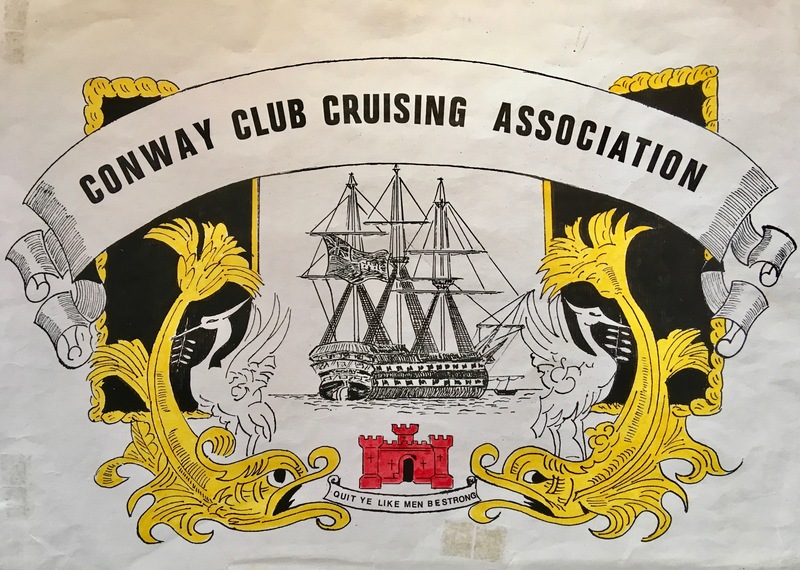 Thus was formed the Conway Club Cruising Association. The first Commodore was Vice Admiral Sir David Clutterbuck (26-29), in due course he was succeeded by Vice Admiral Sir David Brown (41-45) and he by David Fletcher Rogers (43-45) who retired in 2001 to be succeeded by Richard Martin (42-44). The Admiralty have given members who have British registered yachts the right to wear the Conway Ensign. See entry in 'A Proud Tradition Continues'. Our principle function each year is the award of the Moody Cup. This was a cup given by the relatives of J P Moody (04-06) who lost his life when serving as 6th Officer of the Titanic. During the time Conway was in Commission it was competed for each year by the Cadets in sailing races. Now it is awarded for the best Log of the previous season. Several awards have been made for long distance voyages the longest being by Captain David Cooper (54 -55) who in 1999 sailed first to the Canaries with crew and then single-handed to the West Indies. He then sailed round the islands meeting several of our members and then made for home via Bermuda and the Azores again single-handed.